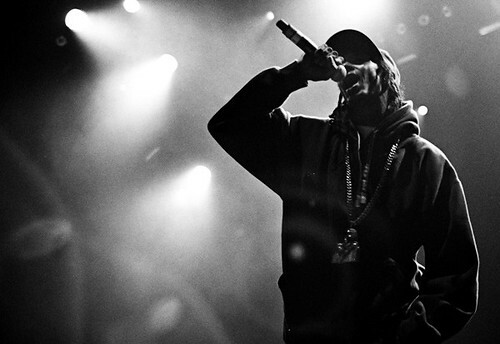 MissInfo.tv » New Music: Nipsey Hussle feat. June Summers “Bigger Than Life”, plus Mark Ronson feat. Saigon & Rhymefest and More…. New Music: Nipsey Hussle feat. June Summers “Bigger Than Life”, plus Mark Ronson feat. Saigon & Rhymefest and More…. Nipsey’s new mixtape The Marathon dropped last week but that doesn’t stop the new music from coming. Below check out his new track with June Summers off Hookman For Hire that features Styles P, Nas, AZ, Lloyd Banks, Asher Roth and more, dropping January 28th. More new music from Mark Ronsom feat. Saigon & Rhymefest, Killer Mike & Rhymefest, Tity Boi feat. Vado, and Kendrick Lamar feat. Kurupt & Bad Lucc, after the jump…. The origins of this track is unknown but it is a track that was recorded a few years back, liberated by Andrew/FakeShoreDrive. The lead man of the Playaz Circle recently started his weekly music series titled 2 Chainz Tuesdays, yesterday he released this new track with Vado dedicated to Polo Boots.